The GMA SHRM Compensation Survey is Now Available! Certification – Obtain your SHRM-CP or SHRM-SCP for free! And when the energy of this GMA SHRM community is focused on service, something even more powerful happens: we help transform people’s lives. 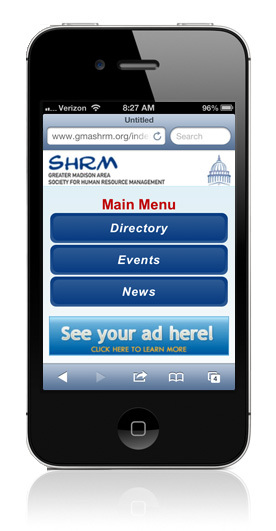 Every two years GMA SHRM enters into a partnership with a local non-profit to help that non-profit reach a larger audience. In the past we’ve partnered with Operation Homefront (that provides support for active duty service members and their families) and, for the past two years, Reach-A-Child has been the focus of this service initiative. Reach-A-Child partners with local first responders (police officers, firefighters, or EMTs) to supply each first responder vehicle with a REACH BAG. Each REACH BAG includes 10 children’s books and 10 drawstring backpacks. Why the REACH BAGS? Because when the first responders encounter children-in-crisis, they can grab that bag and offer the child a book. And the calming influence of a simple book can make all of the difference to the child in terms of how they experience the crisis. First responders consistently report that giving a child a book helps them cope with the situation around them. For more information about Reach-A-Child, visit their website here: Reach-A-Child. Service is also evident in the great work that we do each year by hosting the Job Boot Camp. The goal of Job Boot Camp is to provide training and education to strengthen career search skills for job seekers who live in the Dane County community. Workshops and one-on-one coaching conducted by GMA SHRM member volunteers focus on resume creation, job interviewing, and other job search related topics. At this year’s Boot Camp thirty-five GMA SHRM members and six student chapter members provided support for forty-four job seekers. Each attendee also received a padfolio and a flash drive pre-loaded with helpful career search documents and presentations. Jeff Westra and Michele Thoren helped create this life-changing program three years ago and every year the program gets bigger and better. Job Boot Camp epitomizes the definition of “service” and is a great example of how our members help make a difference in the lives of others. It would be difficult to find something more fundamental than this member service to others: helping individuals get and keep a job to support their families. GMA SHRM creates and supports these service opportunities to enable our members to give back to the communities we serve. And none of this important work would happen if it weren’t for you, the generous HR professionals of the Greater Madison area. Thanks for your contributions to enable us to be of service to this great community. I look forward to seeing you at our future service opportunities! Losing a key employee over compensation can be expensive (recruiting costs, training a new employee, etc.) and so can over paying employees. The new GMA SHRM Compensation Survey Report will provide local compensation data related to Base Pay, Total Cash Compensation, Salary Range Information and Pay Practices. 88 participating organizations in the GMA SHRM membership area. Click here to see a list of participating organizations! 256 exempt and non-exempt jobs included. Click here to see a listing of jobs with definitions. Report also captures data on 10 pay practices questions. Those who purchase the survey results will be able to share access with up to two additional users within their organization. The GMA SHRM Programming Committee is proud to roll out the 2015 calendar of topics for Summits, Toolboxes and HR Roundtables groups! Mark your calendars today and keep an eye on your inbox for registration and more information. 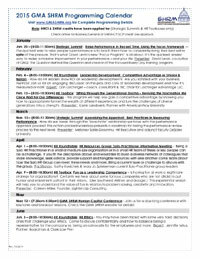 You can view the full calendar of programs on the GMA SHRM Event Page or download a pdf version of the calendar by clicking on the image to the right. The CFA Society Madison is looking for 2-4 individuals interested in spending about 3 hours on January 29th (2-5pm) reviewing resumes of financial professionals and students looking to get into the investment industry. Their members are largely involved in institutional investing; however they do have a good number involved in private wealth management, among other occupations. They are holding a career planning event for their members to fine tune, seriously revamp, or get started on refining their resume, as well as hear from a career coach on proactive steps they can take to advance their careers, regardless of the stage they’re in. If you would like to help out, please contact Jeff Westra at jwestra@herzing.edu. Each year brings us the opportunity for a reset. We often reflect on what we liked, what we learned and what we desire in the coming year. This re-focusing workshop will be our first of a series of Strategic Summits, and like always, will be held at the Alliant Energy Center, offering networking at 8:00 AM, with the program start to begin at 8:30 AM. This summit will be on Tuesday January 20th. 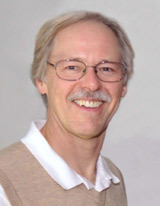 David is a rock-an-roller turned author and speaker. He realizes that many of us face more pressure and distraction in our professional lives. In addition to his goal of having participants say this is one of the best speakers they have ever heard, he wants to help us to bring our best in spite of the pressure we are feeling. His new Focused FrameworkTM is about finding the quickest and easiest way to massive improvements in our performance and life. For the first time ever, businesses are faced with an exciting and yet complex challenge of having four generations in the workplace at one time. Each generation brings different values, skill sets, and perspectives on what “work ethic” and “loyalty” mean. These differing views can easily lead to conflict, which hurts performance and productivity. Vast amounts of knowledge and expertise exist within each generation, yet they are commonly left untapped. This program will help you gain a competitive advantage by showing you how to appropriately funnel this wealth of different experiences and turn the challenges of diverse generations into a strength. 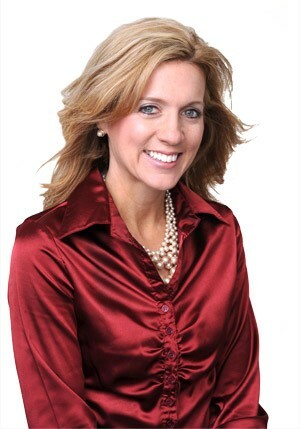 Our speaker Karrie Landsverk is a Partner with AmericanWay University and Professional member of the National Speakers Association. 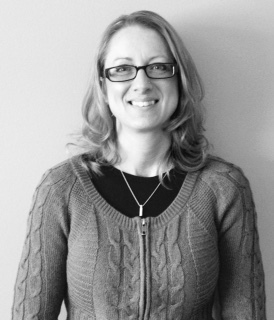 Karrie brings 16 years of leadership expertise from businesses of all sizes including high-level leadership roles with a Fortune 500 company. 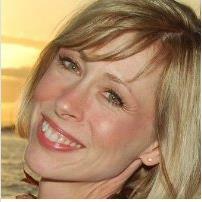 She connects with each group she interacts with using her dynamic and energetic style while educating on topics involving leadership, communication, employee engagement, and the key to powerful relationships. Click here for more program information! Volunteer at the Student HR Games! Registration is now open for the 2015 WISHRM Student Conference and HR Games. UW-Whitewater is hosting the event on March 6th and 7th, 2015. The deadline to sign-up to volunteer is February 16th, 2015. In addition to the HR Games portion, there is a number of speakers and networking opportunities for student and professional attendees. To view opportunities and register to volunteer, click on this link: http://www.wishrm.org/2015-HRGames. If you have any questions, please contact Matt Nechodom, PHR, mnechodo@amfam.com or 608.242-4100, ext. 38692. Applications must be or emailed as a PDF by April 17, 2015 to be considered. Please review the qualifications and application process by visiting the Professional Award Information Page. To make the application process easier, everything will be submitted electronically and there is no separate application form to complete! The Pathways program for the new SHRM Certification is now available! Your existing HR certification constitutes your eligibility to earn the SHRM-CP (equivalent to the PHR) or SHRM-SCP (equivalent to the SPHR) which indicates to the global HR community that you have the competencies, knowledge and skills to perform effectively in today's ever-changing workplace. Once you complete this process, you will earn the new SHRM credential and begin a three-year SHRM recertification cycle. You will not lose or have to give up any of your current credentials in order to obtain the new SHRM Certification. Please visit www.shrm.org/certification/pathway to learn more and to participate in the tutorial. To learn more about the new SHRM Certification, visit www.shrm.org/certification. GMA would like to recognize and congratulate our two student scholarship winners! Gabrielle Marzella & Silun Li are both seniors at UW-Madison. Congratulations to both! Developing team members to be successful in their careers. Always gather the facts and do what is right even if it isn’t popular. Networking and staying up to date with HR topics. I began volunteering with SHRM in August of 2014. I am volunteering for the Government Affairs Committee; this is the first SHRM committee I’ve participated in. I really enjoy having the opportunity to meet and work with new people; it’s great to be able to share ideas, develop goals, and bring a project to fruition. I would highly recommend volunteering to all SHRM members. The committee work helps one to grow and network at a much deeper level. Volunteering is really the best way to make the most of your membership. I’m rather new to the HR field and I find the wealth of new knowledge and expertise the other members bring to the committee has been enlightening and inspirational. The Government Affairs Committee is an awesome resource for all SHRM members as the committee provides the most up-to-date information regarding exciting changes to the laws that impact our daily operations. ﻿GMA SHRM welcomes the following members who joined our chapter in November 2014! Todd Ashburn, PHR Hallman/Lindsay Paints Inc.